Special order Tee. This item can take 1-10 days to ship. Please be sure of your size and spelling of names before submitting your order. We are unable to accept returns or exchanges. 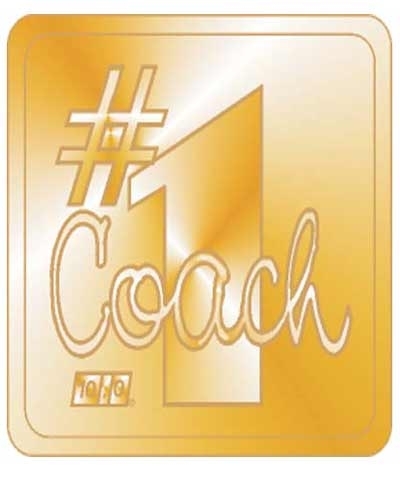 Please enter the first names of TEAM MEMBERS in the personalized box. Use COMMA to separate between names.Always remember that the print size varies depending on the number of names listed. 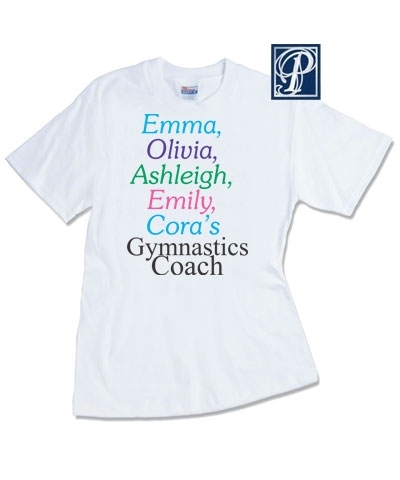 Personalized Team Name Gymnastics Coach Tee. 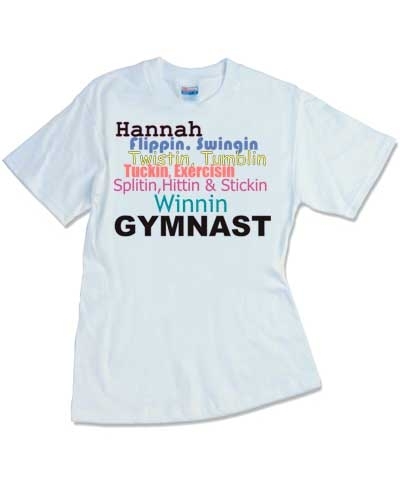 Just give us the first names of your team members (see picture) and we will print this personalized Gymnastics Coach tee. 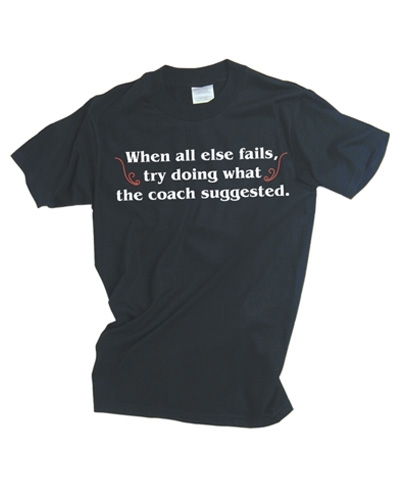 A great gift for your Coach. 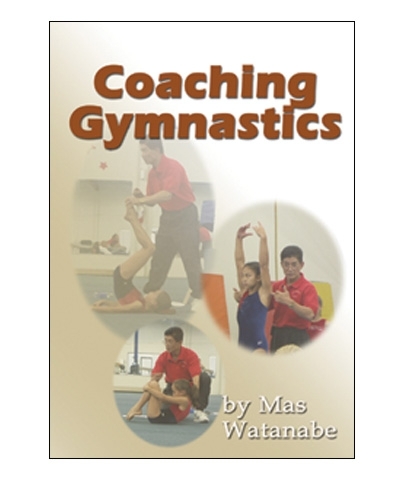 Enter gymnasts names in personalized box. Print size varies depending on the number of names listed. 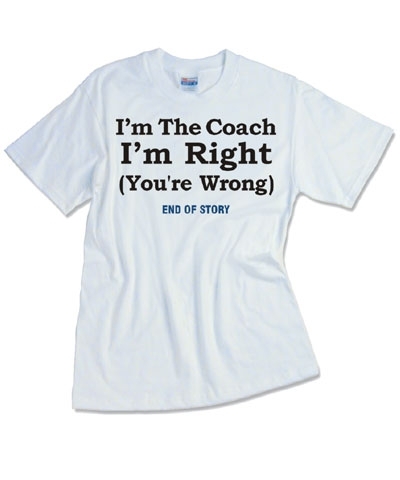 Available as a girls or boys team tee. See WT100 for size. 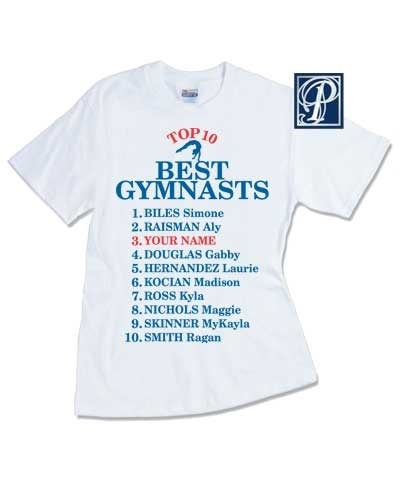 This Ten.O Gymnastics t-shirt is 6.1oz heavyweight, 100% preshrunk cotton, seamless collar, tapered shoulder-to-shoulder with full double needle stitch. Sizes: JM-JL, AS-AXL. Please be sure of your size as this is a custom non-returnable item.